You can open attached files both within EndNote and in their default program (Adobe Reader, Word, etc.). On the right side of your screen, you can see a preview of the attached PDF when you are in the PDF preview tab. 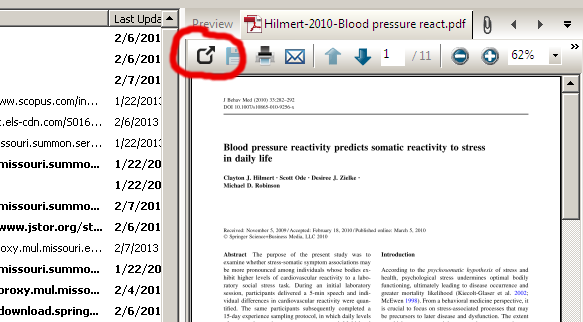 To open the PDF and view it in full screen, click the icon on the left (picture below).